← Nets Trade? THAT Is A Trade!! 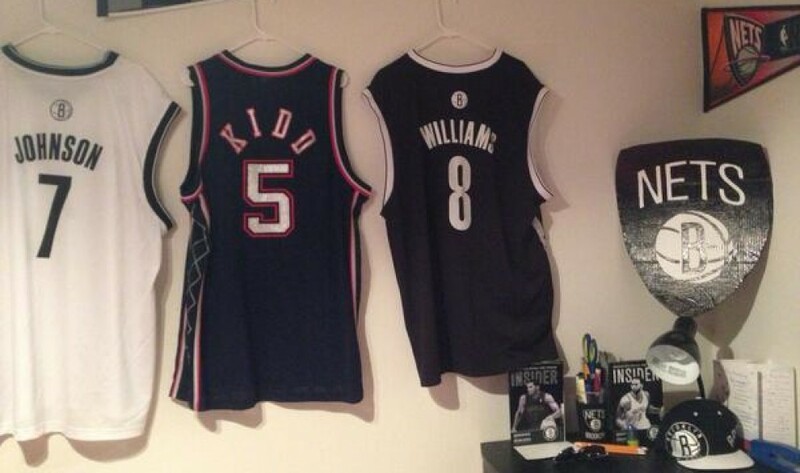 The Nets Rebuild is Nice. But it Rides on One Guy. The Nets’ offseason is not finished. However, with 14 guaranteed players under contract, a 15th player’s D-League rights secured, and no cap room left, the meat and potatoes of the offseason are cooked, barring a surprise trade. To the Nets’ credit — and they deserve a lot of credit — they added a first and second round pick, opened up substantial cap space in 2019, and added young talent, in Musa, Kurucs, and Pinson. The Nets also added quality young veterans, in Napier, Ed Davis, Faried, and Arthur, whom address weaknesses in the short term. All of this is good. The Nets made quality incremental progress this summer. If they want to win now, and sell stars on their progress, they are slightly more equipped to do that. If they want to trade for a star, they are substantially more equipped, asset wise, to bid. And if they want to tank, they have more picks and cost controlled young players to get things started with. With all of this said, progress has been incremental — not exponential. The players most likely to help them on court – Davis and Napier — are career reserves. And the players and picks most likely to help in the future — the 29th pick in Musa and a pick between 13-30 from Denver — project as helpful assists, not stars. With that said, we come back to D’Angelo Russell. DLO is the only player on the Nets who has the potential to be a tentpole star. Some may take that as a swipe at Allen or LeVert: it is not. Even if both reached their unlikely ceilings, as Capela and Iguodala types (likely a big reach for LeVert), players like that are not good enough to be tentpole stars. DLO, however, does have that type of ceiling. If things break right, he can potentially be the fulcrum of an elite offense, as an elite scorer and precise passer. Will DLO reach this ceiling? On one hand, you do not put up the type of monster games that he has, if you are not a superb talent. His talent, especially if he shoots the 3 better, is unquestionable. On the other hand, DLO has yet to show that he can translate his ability into on court value — he is currently a great talent, but not a great player. In fact, he is currently a negative on court player. The Nets were better when DLO sat, than when he played. On the flip side, the Nets were better when Dinwiddie played, than when he sat. They were also notably better when Dinwiddie paired with Carroll, RHJ, or LeVert, than when DLO paired with those players. Plus minus numbers do have noise. LeVert’s rise after a slow start, Allen’s growth from his initial awkwardness, and Crabbe’s improvement after a nervy start, all came when DLO was hurt. That said, even during DLO’s strong start before the injury, the Nets played better when Dinwiddie played, and substantially worse when DLO sat. It is not hard to see why DLO has not made teammates better — yet. When Dinwiddie is the Nets point guard, other than in late game situations when he forces the issue, the ball moves. As a result, players move. That moves the defense out of optimal defensive positions, into suboptimal ones, which creates good shots. Quite distinctly, the ball stagnates when DLO plays. He likes to hold it, survey, then pursue his own shot. While he surveys, the Nets’ players stand around, knowing a pass is not coming, and the defense remains set — ready for the next move. That type of isolation basketball may work when you isolate around LeBron or James Harden. It does not otherwise. For DLO, it resulted in a lot of contested long 2’s — other than on nights where his jumper cooked, he underwhelmed. If DLO uses his talent to make quicker decisions and contort defenses, he can completely flip the script on all of these issues. But it might not happen. Some guys get it, and some don’t. And at the end of the day, for all the talk of a mid first round pick, Ed Davis, and Napier, DLO is the one piece that truly matters — because he is the one piece whose growth (or lack thereof) most impacts what the next step must be. Without a doubt, the Nets, on paper, are more equipped to win and sell stars on Brooklyn, trade for stars, or launch a tanking project. However, when 2019 comes, the Nets will need to choose. Sell stars on Brooklyn? Trade for stars? Or launch a tanking project? If the Nets are tanking, they should not want to extend Dinwiddie, RHJ, DeMarre Carroll, or perhaps even DLO himself. If the Nets are looking to win, however, they may want those pieces to flank their splashy 2019 acquisitions. So why does DLO matter so much? Because he is the piece who will ultimately define what course they should, or even can, pursue. On one hand, he is so talented, that if he meets his potential head on, he can make the Nets a bonafide draw for star talent. On the other, if he flatlines, there is nothing here for a star to join, and a team led by Spencer Dinwiddie cannot credibly justify a win now effort in lieu of tanking. Sean Marks? You have had a good offseason. And now? Your signature acquisition’s progress, or lack thereof, must determine your next step.